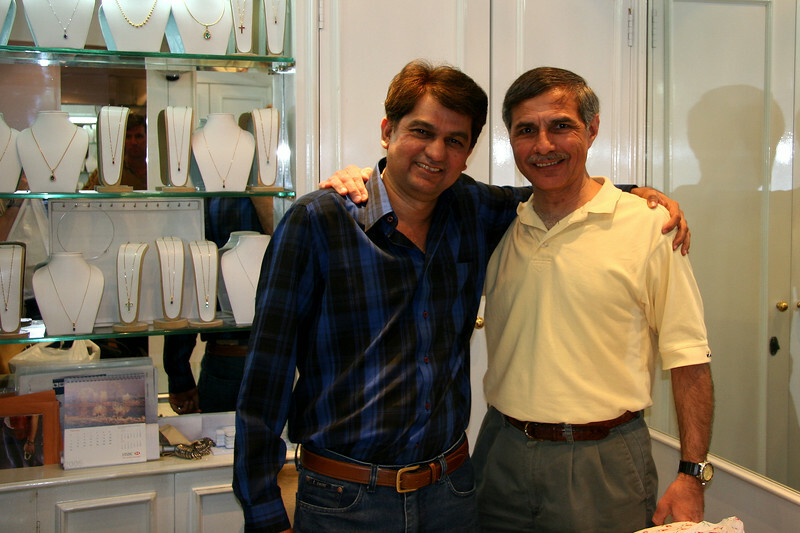 My Mumbai friend of 15 years, Chris, with me in his jewelry store in the Oberoi Hotel in Mumbai, India. An honest, noble, caring and truly decent man, Chris passed away in March 2007 and left the world a lesser place. God be with you, my friend.